My cooking journey started like a lot of people's do. I was watching way too much Food Network and finally thought, I can do that! 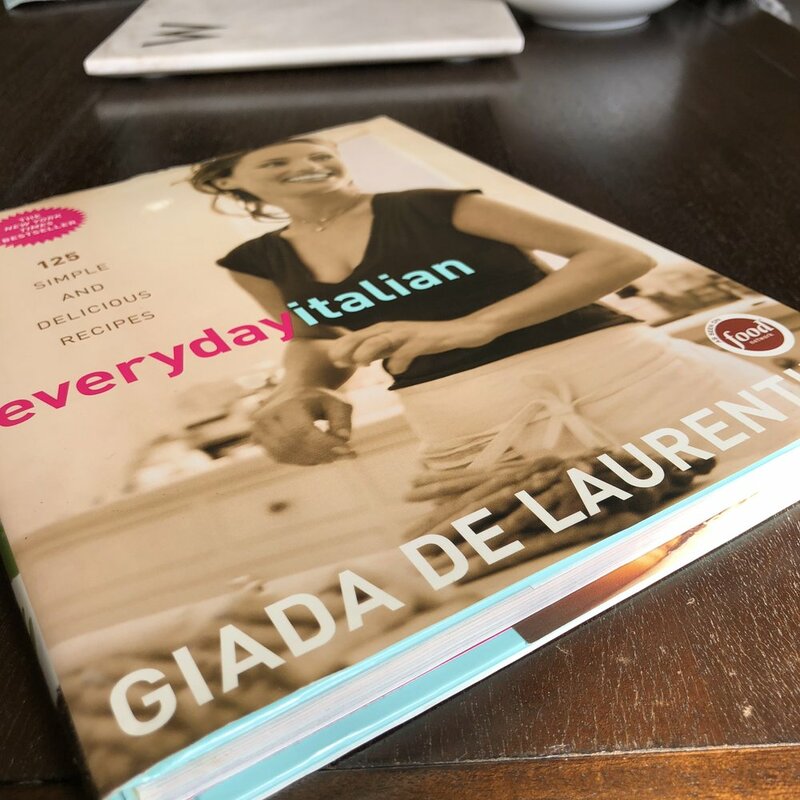 And the show I watched the most was Giada De Laurentiis’ Every Day Italian. I tuned in mostly because I’m obsessed with pasta, but also because the recipes were easy, and they were presented in a way that made me feel like I could cook them if I wanted to. After too many hours in front of the TV, I finally picked up Giada’s cookbook and began experimenting in the kitchen. I would peruse the book for ideas and then when I found one I liked, I would make it my own. However, not having much of a cooking background meant that this was not always successful. But the feeling I got when I was successful made me feel like a rock star. Looking back at this cookbook, I found Giada's Lemon Spaghetti recipe and vividly remember the first time I saw it—staring at it for the first time and thinking how cool it was. Ideas like tossing pasta with lemon juice, oil, and parm—which might seem obvious to some people—was at one point not obvious to me at all. And the idea of a “sauceless” pasta, and one with lemon, was exciting and fun. However, I hadn't changed the recipe a bit, so this week I wanted to update it and really make it my own. I included tender zucchini and sundried tomatoes to soak up that lemony goodness and give some different textures to the dish. I also added a dollop of cream cheese to balance out the tartness and give the dish a little creaminess. And there's some thyme in there for a more vibrant herbal note. Giada may not be the fanciest of chefs, using new-age techniques and putting uni in everything. But solid, delicious, well-balanced recipes presented by someone you could connect with was exactly what I needed. And 14 years ago, it’s what got me excited about food. For that, I will always be eternally grateful to her. Place a large pot of salted water over high heat for cooking the pasta. While the water boils, in a large bowl, whisk together the parmesan, lemon juice, ½ cup of the olive oil, the salt, and the pepper, then set aside. When the water boils, add the pasta and cook according to the package directions until al dente. When done, drain and set aside, reserving about 1 cup of the cooking water. 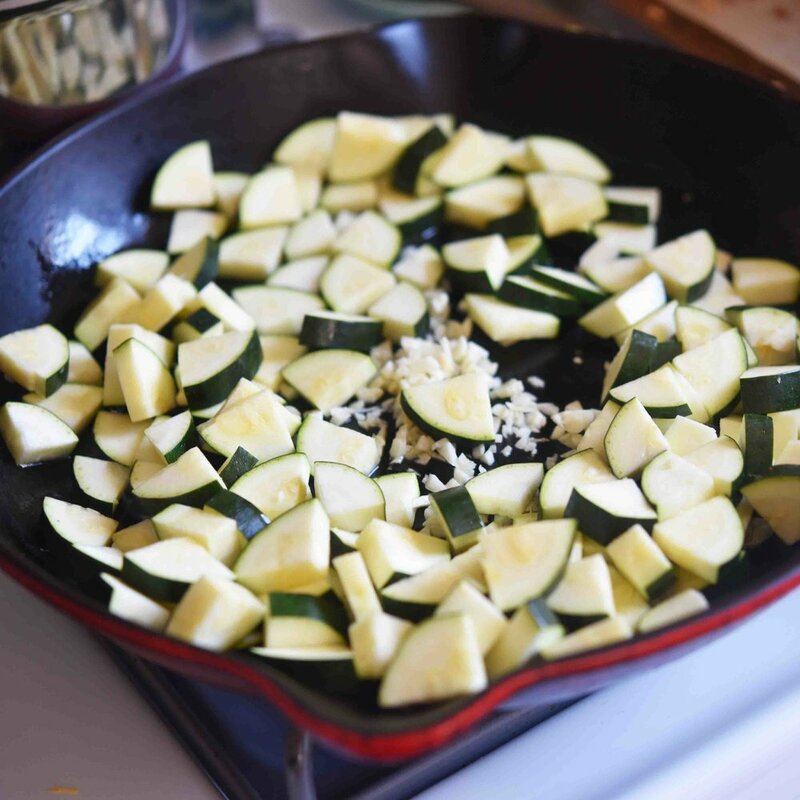 Heat the remaining 2 teaspoons of olive oil in a medium pan over medium-high heat, then add the zucchini and garlic, sautéing them until soft—about 5 minutes. Add the tomatoes and cook until warmed through—1 minute more. Transfer the cooked pasta along with the zucchini and garlic mixture to the bowl with the sauce from Step 1, tossing to combine all ingredients; add a splash of the reserved pasta water if you need to make the mixture saucier. To serve, divide the pasta onto two plates and top with the lemon zest and a dollop of cream cheese.